Where can you stream Neon Genesis Evangelion? On 1995-10-04 Sci-Fi & Fantasy/Animation TV Series Neon Genesis Evangelion first aired on TV Tokyo. 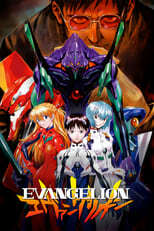 Written and created by , and produced by GAINAX, Neon Genesis Evangelion has ended and last broadcasted on 1996-03-27.